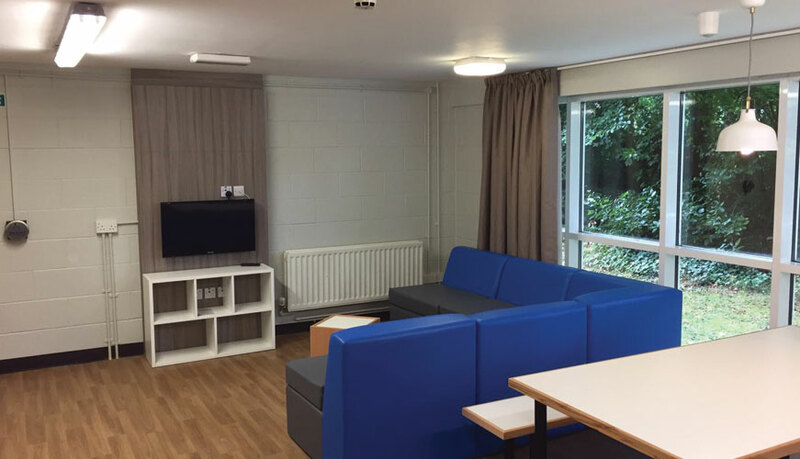 The Elms student village is located on Malone Road, Belfast and comprises purpose built student accommodation in close proximity to the Malone Conservation Area. 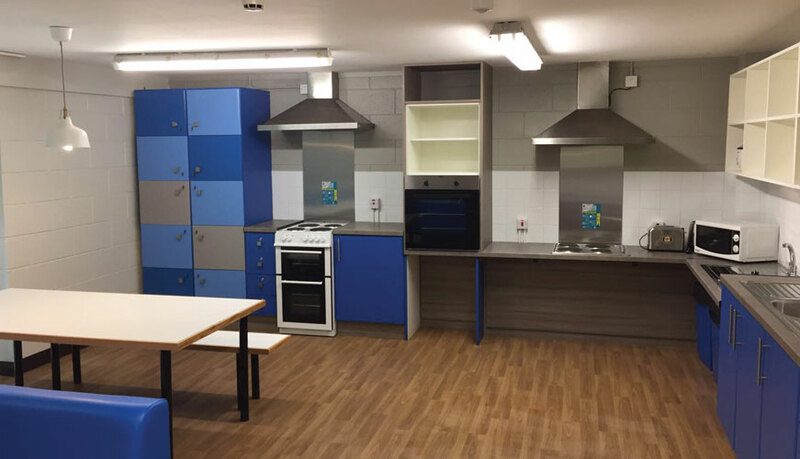 As part of Queens University’s Rolling Upgrade programme to provide the highest standards of student accommodation throughout the estate, we were appointed to undertake the complete internal refurbishment of 21no. 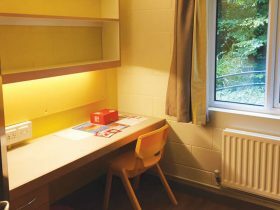 student accommodation buildings over two summer periods. 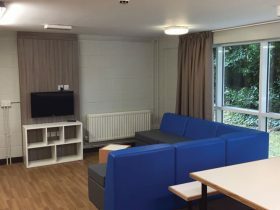 The first phase which was completed during the 2017 Summer break relates to the refurbishment of 8 buildings which were constructed between 2001 and 2005. 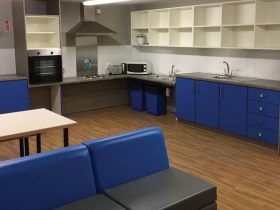 The second phase (to be undertaken during the 2019 Summer Break) relates to the refurbishment of 11 buildings constructed between 2003 and 2007. 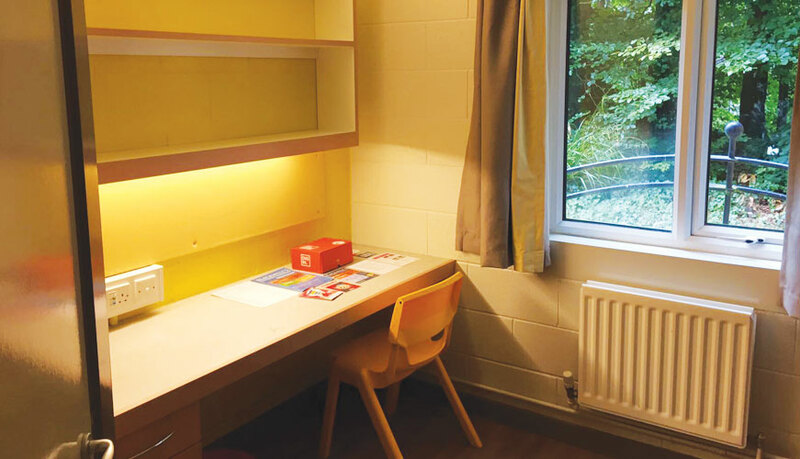 Each building is three storeys high and houses approximately 33 students within individual study and bedroom areas. 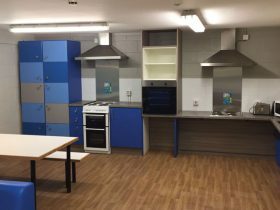 Each floor also contains a communal kitchen and living/dining room. 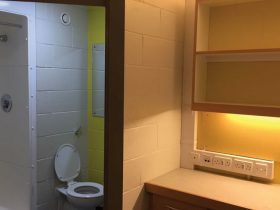 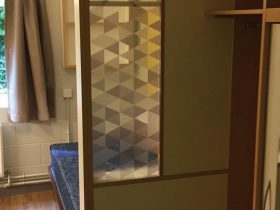 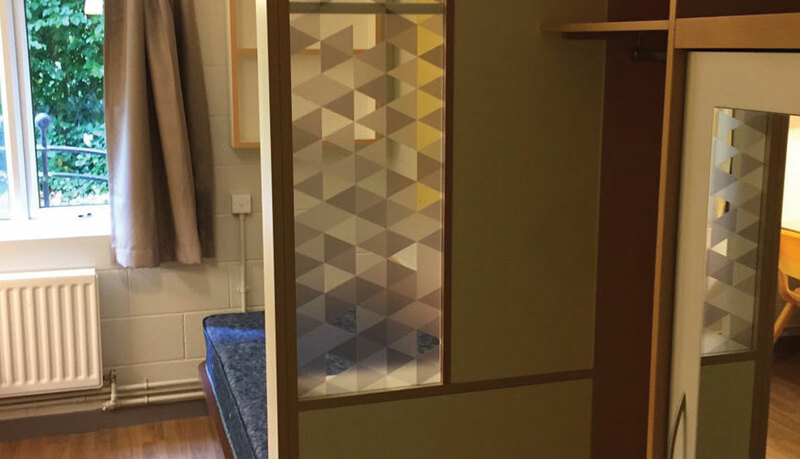 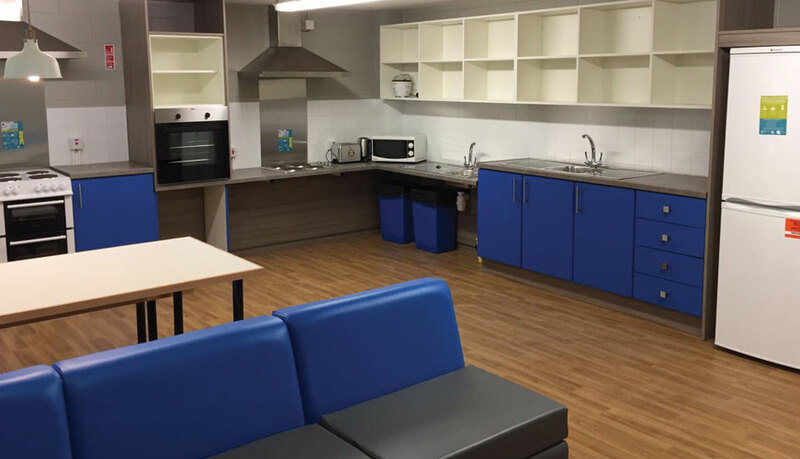 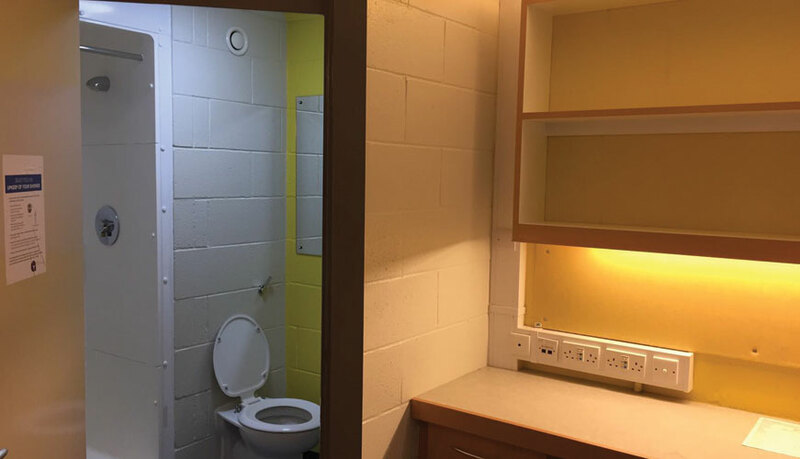 Each building was stripped out with new bathroom suites and bedroom furniture including student desks and study areas fitted while all communal kitchen areas were also fully replaced with new appliances, cupboards and storage areas.